We are one of the largest independent bathroom wholesalers and retailers in UK. We have been in business in Leicester since 1990 and offer high quality products with exceptional service to trade and to consumers. At QS Supplies purchasing bathroom or home decoration products direct from us, means establishing a relationship direct with us and as there is no middle man, we can offer higher quality product at bargain price. Like any company, we're always proud to be recognised for products that we supply to our customers. Our wide range of bathroom suites, shower enclosures and baths help customers find the right product for their bathroom and achieve their dream bathroom, which is why remodelers, plumbers and interior decorators count on us as a trusted partner. Hortons Bathrooms in Tamworth is a local, family business. We have been serving local trades people and independent clients for over 65 years. We are very proud of our high quality service and excellent reputation. Whether you’re looking for a new bathroom, beautiful wall and floor tiles a fireplace, or are just trying to solve a plumbing problem, our friendly staff can provide unique insight and advice, supported by decades of industry experience. We are happy to give advice on making your home improvement project come to life. We aim to provide the highest possible standard of customer service and we source high quality products that will give many years of trouble-free service. We only deal with suppliers who have exceptional after sales service, and can back their products up with spares and a guarantee beyond the normal 12 months. Here at LaCasa, you'll find more than just an off-the-shelf interior design solution. You'll find a team of dedicated interior design experts who care about doing the best job possible. Our work speaks for it's self which means we don't “hard-sell” or bully our way into your home, we simply display the excellent products we have to offer which is anything you need, from a single chopping board to an entire kitchen re-fit. From our head offices in Nottingham, we offer truly top quality kitchens, bedrooms and cookware all across the UK. So why wait? Call us today on 0115 9373288, or visit our Kitchens, Bedrooms or cookware pages to see more about the products and services we have to offer. German manufacturer of exclusive bathroom products in elegant glazed titanium-steel. 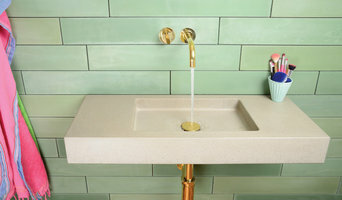 Bette’s shower floors, baths and washbasins are finished in the company’s BetteGlaze enamel. This extremely durable surface is easy to clean, has wonderful light reflecting qualities and is available in a huge range of colours – and backed by a thirty year warranty. 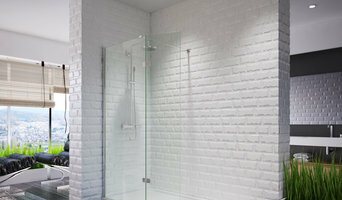 Bette offers a wide choice of shower trays and shower floors in hundreds of sizes and colours. The award-winning BetteFloor is a flush-to-floor shower area that is like one large enamelled steel tile which is permanently water-proof, easy to clean and hygienic. It can be ordered with BetteUpstand, which does away with the need for silicone where the shower floor meets the wall tiles and with a new, barely visible anti-slip surface, called BetteAntislip Pro. Bette’s range of baths includes fitted and freestanding options in an extensive range of sizes. The award-winning BetteLux Shape is enamelled on both the inside and the outside and suspended in an open steel frame in a choice of colours. For small bathrooms, Bette offers a wide range of baths and shower trays, including the option to order bespoke sizes or have edges trimmed so they fit the space perfectly. Bette’s range of coordinating washbasins in enamelled steel means that the two ‘statement’ pieces in a bathroom, the bath and the washbasin, can be a perfect match, without having to compromise on the use of different materials. Waters Baths of Ashbourne is a fast growing brand with a reputation for creating beautiful and contemporary freestanding baths. Established in 2011 and based in Ashbourne, Derbyshire, our Design, Sales, Marketing and Distribution departments are driven with a passion to create stunning centrepiece freestanding baths, we are committed to delivering stunning, quality, distinctive products with an un-paralleled customer service. Through innovation and design, we strive to make exciting developments that will propel our brand to the forefront of international bathroom design. Our first breakthrough was the creation of "i-Line" – 20mm acrylic edged baths. Through technical manufacturing advances, we are able to increase internal bathing length by up to 130mm, compared with that of our competitors. Eclipse freestanding baths give a totally immersive, luxurious bathing experience normally gained with much larger baths - same size, bigger bath. We use only quality materials, all our baths are made from 100% Lucite acrylic material, to BS/EN standard colour regulations ensuring it fits seamlessly with other items in your bathroom and its fully UV stable and abrasion resistant, ensuring a long life. Prior to delivery every one of our baths is individually hand-finished by craftsmen and inspected to our exacting standards. As the ultimate statement in quality and style, our baths are always inspirational and recommended by architects, specifiers and interior designers. You can buy our freestanding baths on-line or through our carefully selected bathroom specialists, where you can experience our freestanding baths within stunning surroundings. By choosing a freestanding bath from Waters Baths of Ashbourne, rest-assured you’ve made an investment that will last a lifetime. We've been designing, manufacturing and installing beautiful, bespoke, made-to-measure stainless steel kitchens and bathrooms since 2001. Active both in the domestic and trade markets, we supply stainless steel splashbacks, upstand and plinths, doors, block ends, drawer fronts and other stainless steel products, taking orders from single purchases through to bulk supply customers. We are based in Leicester and serve both England and Wales. Feel free to contact us anytime! 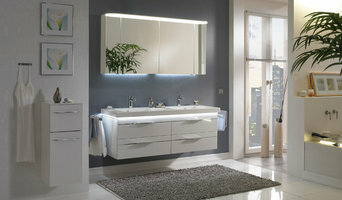 We are the largest bathroom, kitchen and Electrical showroom in Burton on Trent. Established for over 12 years we plan, supply and fit your dream bathroom or kitchen to the highest standards. Supplying high quality branded kitchen appliances from the likes of Bosch, Neff and Siemens. We have a wealth of testimonials from satisfied customers and consider ourselves to be offering the best after-sales service in the area. Designing and manufacturing everything in bathrooms. Roca began life as a family business manufacturing cast iron radiators at a factory in Gavà, near Barcelona in 1917. Over the years, the portfolio gradually expanded and by 1929, Roca entered the bathroom environment for the first time. With an attentive focus to social changes, Roca has since been pioneering when tackling issues surrounding sustainability, design and technology, and remains at the forefront of these innovations today. Today, Roca reaches over 170 countries, supplied by 76 production plants with more than 20,000 employees worldwide. After one hundred years, Roca is still proud to call itself a family business. Roca UK, established in 1993, is a dedicated subsidiary of Roca Sanitario S.A and has a permanent base with its own team, warehousing and stock. Roca products have been adapted and developed to comply with British and European standards. Here at ColeRoberts we specialise in the design, supply and installation of high quality kitchens, bathrooms and bedrooms using the most innovative German brands. We utilise our state of the art design systems to bring your ideas to life right before your eyes, helping you to get the best vision of your dream space. We strive to give the best customer service through detailed consultations and surveys to ensure every last detail is perfect and to ensure that you have the most pleasant and enjoyable experience. Come and see for yourself at our amazing Loughborough showroom that boasts an array of designer brands and unique materials and features. We look forward to welcoming you on your journey to creating your new dream room. DSM are one of the country’s leading specialists in the fabrication, manufacture and supply of high quality bespoke stainless steel products, from stainless steel worktops and sinks, to shower trays and splashbacks. All our products are of the highest quality in the industry and are covered by a full 25 year warranty. 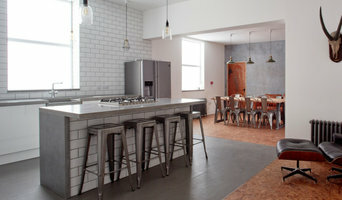 All our products are also individually tailored to the designs supplied by our clients, resulting in endless possibilities for the perfect design for your application and space; for example our stainless steel worktops can be supplied with any choice of integral bowls and drainer with cut-outs and edging as required. 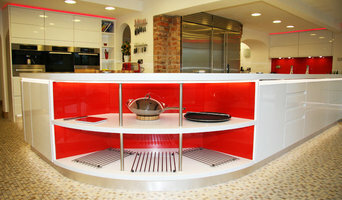 Nevaeh Design & Interiors is a Kitchen, Bathroom and Bedroom showroom based in Ripley Derbyshire. We design and fit made-to-measure kitchens and bathrooms, in modern and traditional styles. We have over 16 years experience in the industry, we have high standards and our quality of work is unparalleled. Please contact us for a free design and quotation visit or visit our showroom in Ripley and be amazed at what we can offer you. Family business for over 15 years, designing and selling bathroom fittings to our customers high spec. The Gallery Kitchens, Bedrooms and Bathrooms – A local family run business with over 20 years of experience in creating beautiful kitchens, bedrooms and bathrooms that are all specifically tailored to meet your lifestyle and needs. We have served homeowners in Nottingham and throughout the East Midlands – building a reputation for high standards and professionalism that is second to none. We offer a ten year Manufacturers guarantee on all Kitchens, Bedrooms and Bathrooms. We are the East Midlands Premier supplier of Gallery Kitchens, Aquadi Bathrooms, and Urbano Bedrooms. We are also now proud to be selling the stunning new Laura Ashley collection Kitchens giving you solid wood doors and timeless designs from the worlds best loved fashion and home furnishings company. Come in to see us today and find your ideal kitchen, bedroom or bathroom from our fantastic ranges on display from modern to traditional we can guide you on your way to start your dream design. What should I hire a Nottingham, Nottinghamshire kitchen and bathroom fixtures specialist for? Whether you are doing up a house you’ve moved into or you want to update your bathroom suite or fitted kitchen, working with a Nottingham, Nottinghamshire kitchen and bathroom fixtures specialist will be extremely helpful. Even if you want to source your own fitted kitchens and bathroom fittings from bathroom and kitchen showrooms, unless you are a skilled craftsman someone will have had to make the fixtures and unless you are a plumber you’ll probably need some help with installation! On Houzz you can find kitchen suppliers, manufacturers and installers of fixtures and fittings in Nottingham, Nottinghamshire to help with all aspects of the process. In the kitchen you can change more than just the sink and taps. Even without ripping out all the fitted kitchen units, you can still have bespoke kitchen doors made to replace the old ones and worktops laid over old surfaces or replacing them entirely. Instant boiling water taps, waste disposal units and induction hobs are just some of the gadgetry and convenient fixtures that are available for fitted kitchens from kitchen showrooms and suppliers. Take a look at the Nottingham, Nottinghamshire kitchen suppliers listed on Houzz to find out the sort of fixtures and fittings they offer. A bathroom isn’t a bathroom without its plumbing fixtures and good bathroom fixtures can make or break a home when it comes to selling potential. Take time to pick out bathroom fittings that work together; you can opt for a whole bathroom suite from a bathroom showroom or bathroom installer, but if you don’t want the overly matching look, a Nottingham, Nottinghamshire bathroom fittings specialist can help you choose individual but complementary pieces. Power shower installation can boost the appeal of your bathroom (no one likes a weak shower) and extra special features like his and hers sinks, shower body jets and roll top baths will give your bathroom style that added oompf. If you can’t stretch to extravagant bathroom fixtures you can still talk to a fixtures specialist about electric shower installation or installing a new toilet; it may seem like a lot of hassle at first, but when you leave it to a professional, all the hassle is taken off your hands. Many Nottingham, Nottinghamshire kitchen and bathroom designers will install or offer help with your fitted kitchens, bathroom fittings and fixtures, so if you want an all-in-one renovation service, you can contact these professionals on Houzz as well. Talk to kitchen showrooms, suppliers and bathroom stores to see if they offer their own installation service or can recommend a local Nottingham, Nottinghamshire installer for you. Here are some related professionals and vendors to complement the work of kitchen & bath fixtures: Kitchen & Bathroom Designers, Kitchen & Bathroom Fitters, Interior Designers, Cabinet Makers. Find kitchen or bathroom fixtures and fittings manufacturers on Houzz. Check out Nottingham, Nottinghamshire fitted kitchen showrooms and bathroom fittings installers on Houzz. You can also look through project photos provided by Nottingham, Nottinghamshire kitchen suppliers, bathroom renovators, showrooms and designers to find fixtures you like and contact the professional who installed them.